hennemusic hennemusic: Van Halen: New album title revealed? Van Halen are playing a media-only show Thursday night at the Café Wha? in New York City, as one of the first major steps in launching their forthcoming new album. 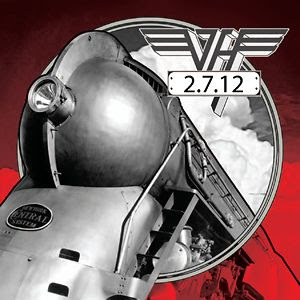 VH entered the studio last January with producer John Shanks to record one of the most-anticipated rock records in recent memory. The project has the weight and distinction of being the first new VH music in 8 years; the first new album in 14 years, the first new music with David Lee Roth in 16 years, first new album with Roth in 28 years, and the first recordings with bassist Wolfgang VH. Earlier this week, “Tattoo” was confirmed as the name of the lead single/video, expected to be issued January 10. That same day, tickets are due to go on sale for the first leg of the band’s 2012 tour, set to kick off in Louisville, Kentucky next month; the rumored opening date is February 18. With all the VH buzz going on, the one thing that has yet to be confirmed is the album’s title, but Swiss music outlet CeDe has the new product listed on their website. We’ll await further confirmation from the band, which is expected to issue a press release with more details, including dates for the first set of shows, sometime before the end of the week.